BRAZIL, Ind., April 6. 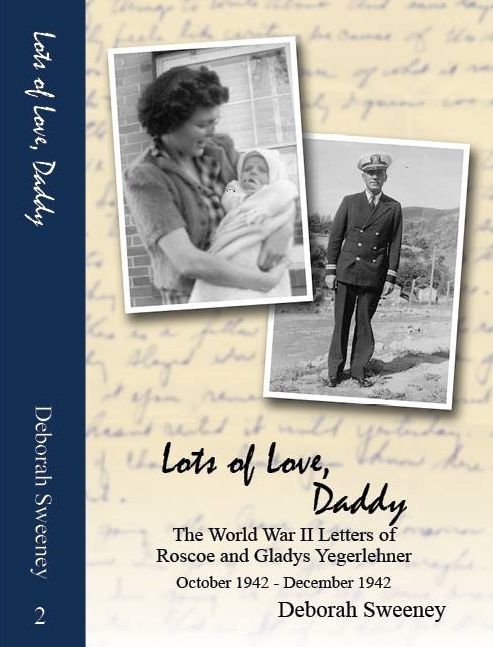 – The little son of Attorney E.G. O’Brien, residing at Saline City, died this morning of malignant smallpox, after having been ill only twenty-four hours. Drs. Griffith, Finch and Gantz attended the child, and they all agreed that the disease was virulent smallpox. Two more cases are reported in the town, but it is believed the patients will recover. “Malignant Smallpox,” The Indianapolis Journal (Indianapolis, Indiana), 7 April 1900, p. 2, col. 5; digital image, Chronicling America (http://chroniclingamerica.loc.gov/ : accessed 3 February 2015). This entry was posted in 1900 Smallpox Epidemic, Clay County, Newspaper Clippings and tagged Brazil, Clay County, Dr. Finch, Dr. Gantz, Dr. Griffiths, E.G. 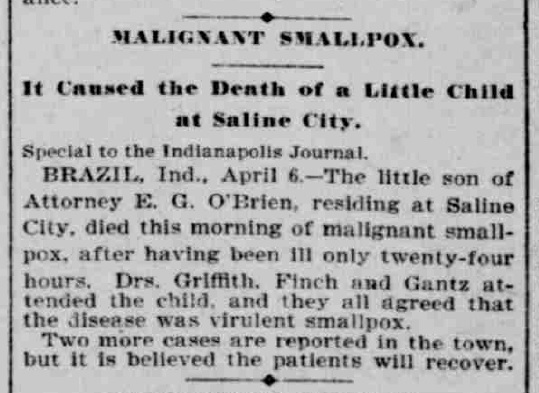 O'Brien, epidemic, Indiana, Indianapolis Journal, Saline City, Smallpox on February 9, 2015 by Deborah Sweeney.